Valmont and Isabelle roads intersect 95th Street at an “offset” intersection that requires eastbound and westbound vehicles to share the road with north-south traffic on 95th Street. Neither intersection is signalized leading to significant peak-hour congestion and accident rates that are among the highest of any intersection in Boulder County. 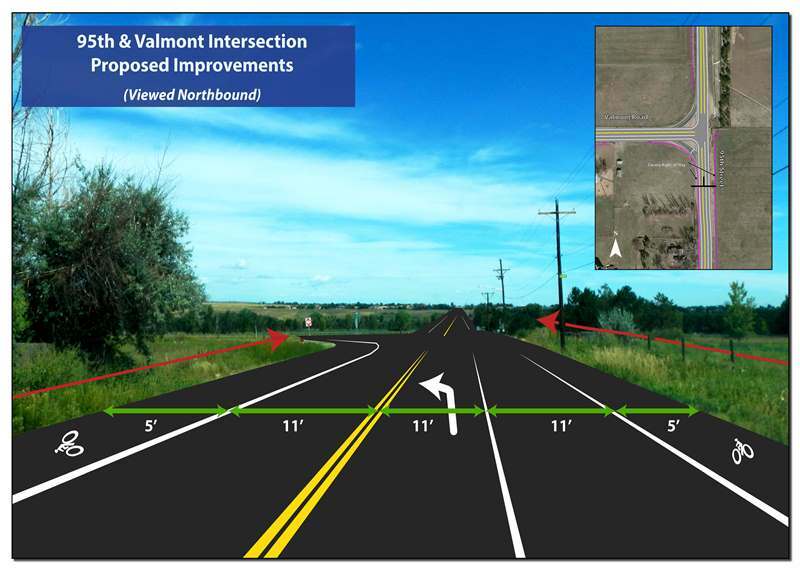 Geometric improvements on Valmont Road at the intersection to improve safety and improve roadside drainage during storm events. 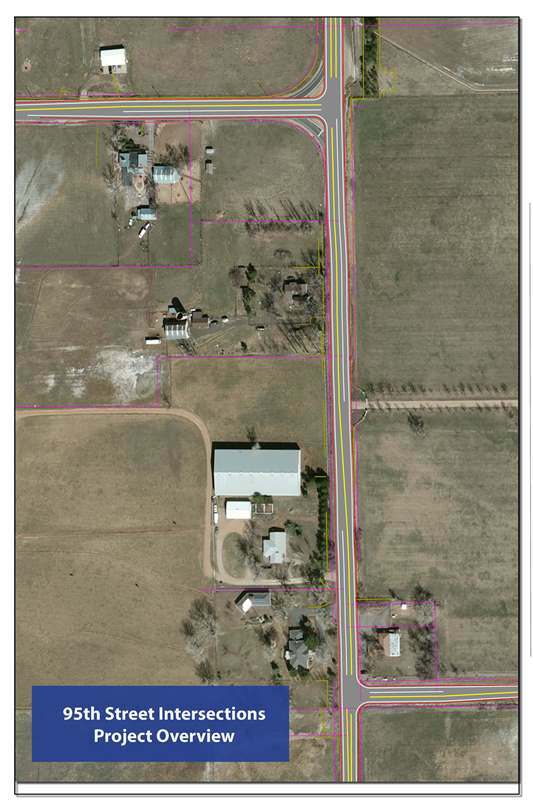 Funding for the 95th Street intersection improvements is through a combination of County Transportation Sales Tax and Federal grants for intersection safety improvements. 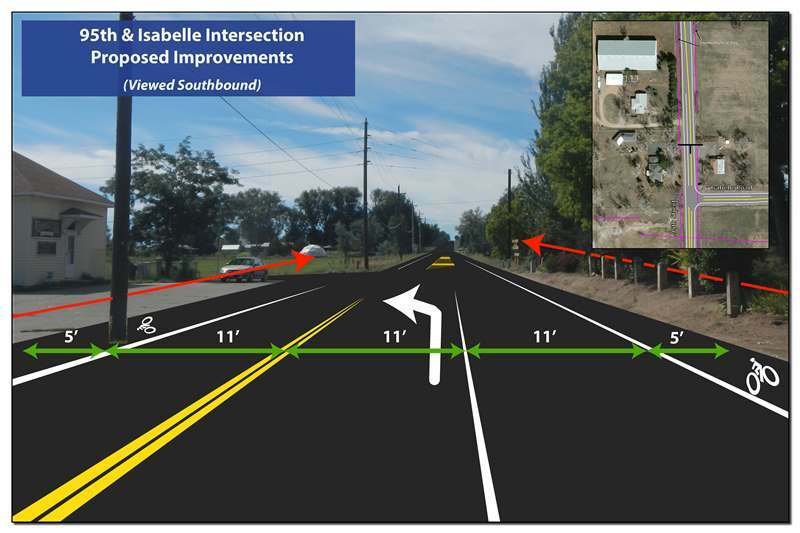 The widening of Valmont Road, Isabelle Road, and 95th Street between the two intersections is listed on the 2007 Ballot Issue to fund transportation improvements throughout the county. Boulder County was awarded $900,000 in Federal Hazard Elimination funds in 2012 to address safety concerns at the two intersections.